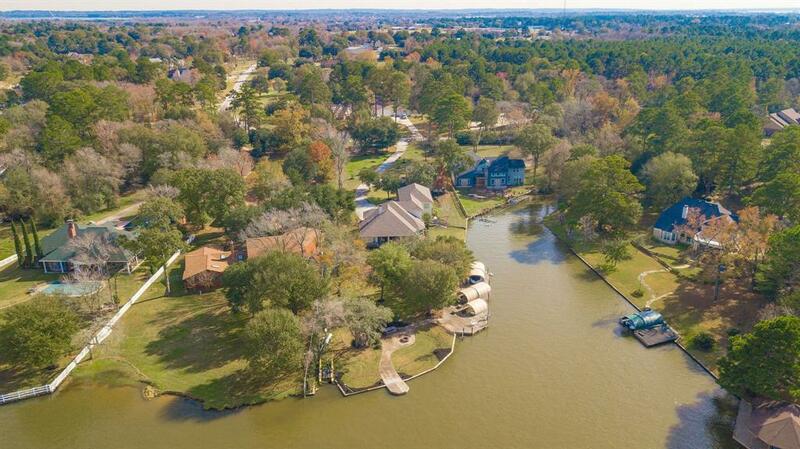 Incredibly delightful home on 1.5 acres with incredible open water views of beautiful sunsets across the lake. 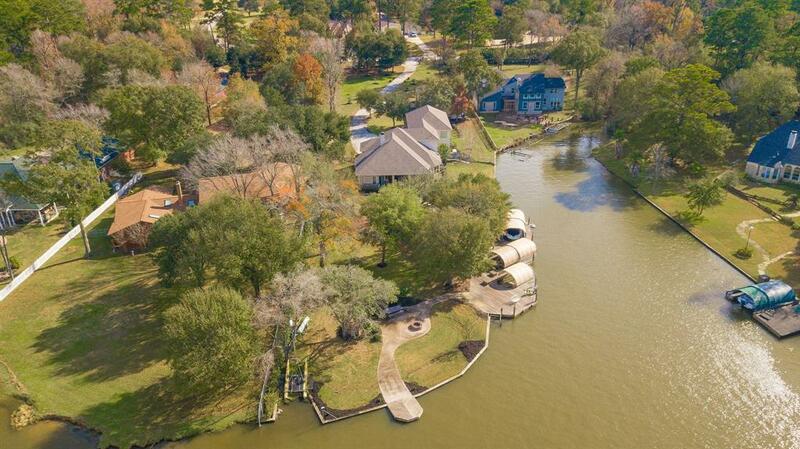 The property has over 360 ft of bulk headed shoreline, with a dock including 2 covered boat lifts and a covered double jet ski lift. Out door fire pit. 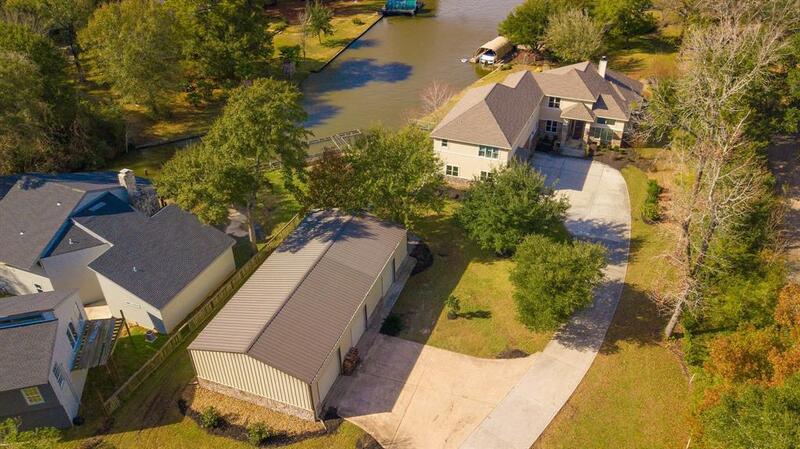 Large open concept home with 10ft.plus architect detailed ceilings throughout and a large covered patio. This is a Green energy efficient built home. Home is constructed with 2x6 inch exterior which accommodates thicker spray foam insulation. 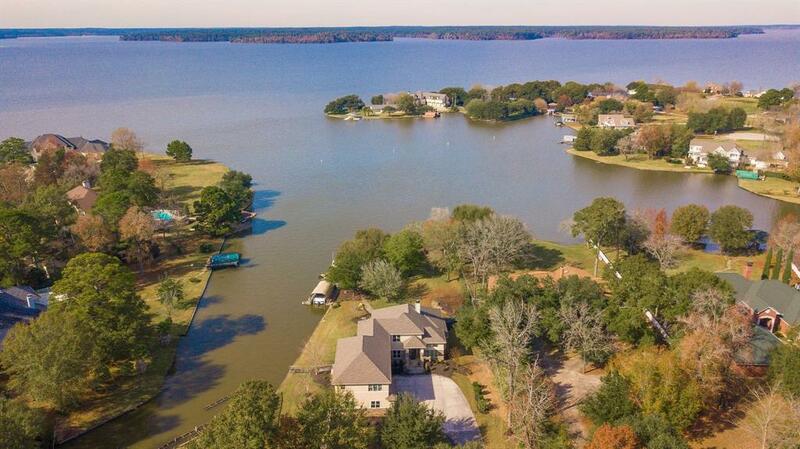 Large Island with 5 burner gas range,3/4 bdrms, 4.1/2 baths 3 car over sized garage. Office, game room, hobby room. Detached steel bldg. (65x30)concrete floors, power and water. Lots of storage for large boats and campers through 12x12 ft overhead doors. Twenty-five ft on one end of barn is divided off into shop area with full spray foam insulation, epoxy floor, heat and cooling. Entire home, shop and garage area are equipped with professionally monitored fire and theft security system.